XGolf’s director of franchise operations Ryan D’arcy came to PX Media looking to rebuild his corporate websites and create a new system of creating location websites for franchise owners. What they had was all one off sites with no continuity, no support, and no maintenance. State of the art web design development. Built on WordPress Multisite. Responsive, Modern design. Location mapping, Booking / Scheduling along with gift card purchasing. Branding continuity over 4 different type of websites and 14 franchise sites. WordPress Multisite give you an edge by allowing to server images across multiple sites. Assigning admin privileges to one or many sites with one login. Rolls keep admins from making major changes that would impede the overall brand. XGolf’s indoor golf simulator venues are market leading, sophisticated, socially interactive locations. They streamline food and beverage services to create low overhead, high margin opportunities for franchisees. This is all backed by state of the art, innovative virtual reality technology. PX Media built a completely new system using WordPress MultiSite. Giving the ability to clone sites from the WP admin, map domains to subdomains and make across the word edits to all sites at the same time. Plugins are accessed from the super admin site. Franchise site do not have access to these plugins unless permission has been given. Franchise admins get access to make edits to content but not structure and are not able to edits code. 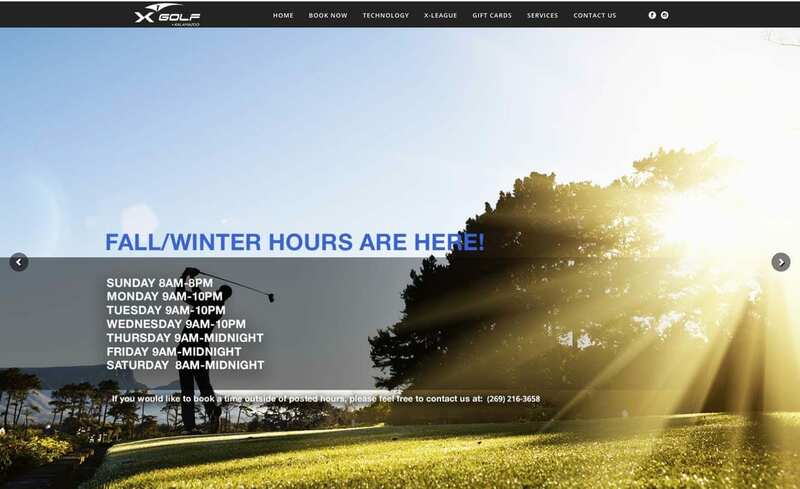 This new system gave XGolf the power to keep branding across all sites and limit problems. PX Media also supports and maintains a server that is exclusive to XGolf websites. This allowed security and a much less chance of hacking. PX Media maintains all XGolf sites, over 15 sites as of Nov, 2018. New franchise site are created in about a week or less. The overall goal was to save time pre build, and save money maintaining the sites post build. By adapting the full suit of websites into WordPress multi site PX Media took a typical build time of 4-6 weeks and dropped it to 1-2 weeks. PX Media now not only supports every aspect of the XGolf web presence but also support all franchise locations as if they are each our client. Maybe you’re just looking or already have a vision of what you need. Give us a call and we will help prioritize the tasks needed to start your project. We’ll merge your ideas with the latest technology to reach your goals. Done once, done right. The first time.